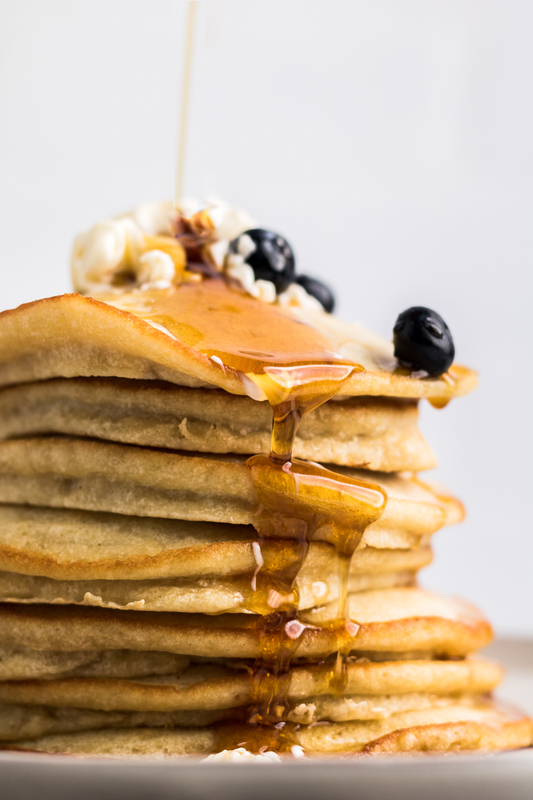 These super fluffy dairy free pancakes will melt in your mouth! 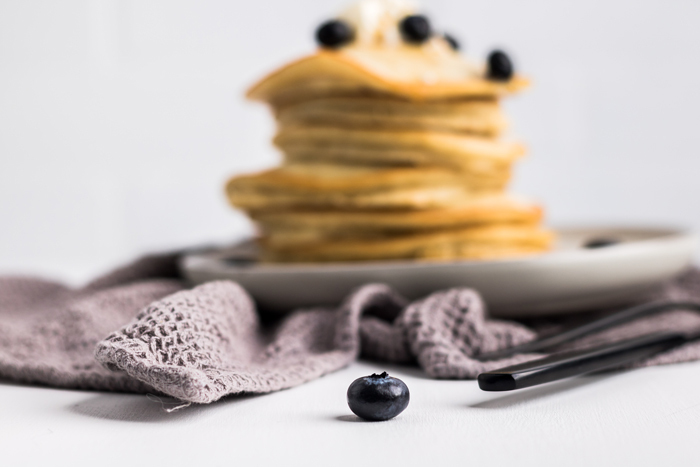 Take the guess work out of creating a homemade dairy free pancakes! 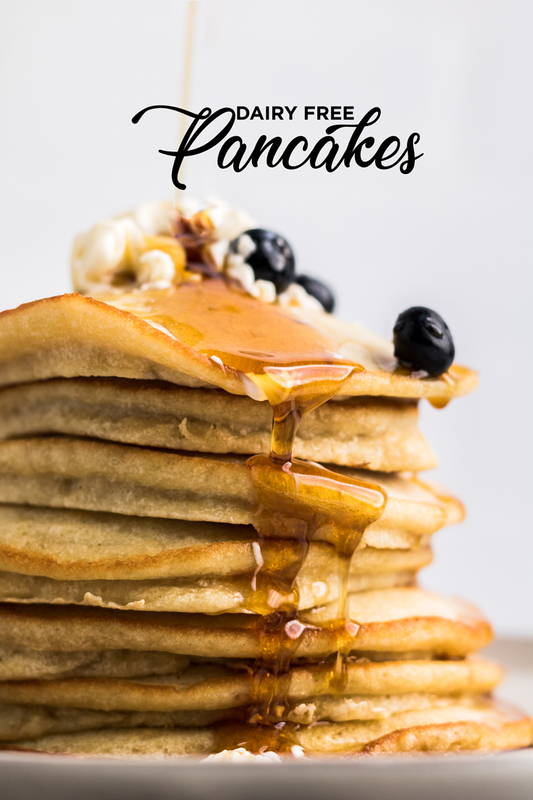 No longer do you have to wonder how you too can have deliciously fluffy pancakes that are also dairy free. 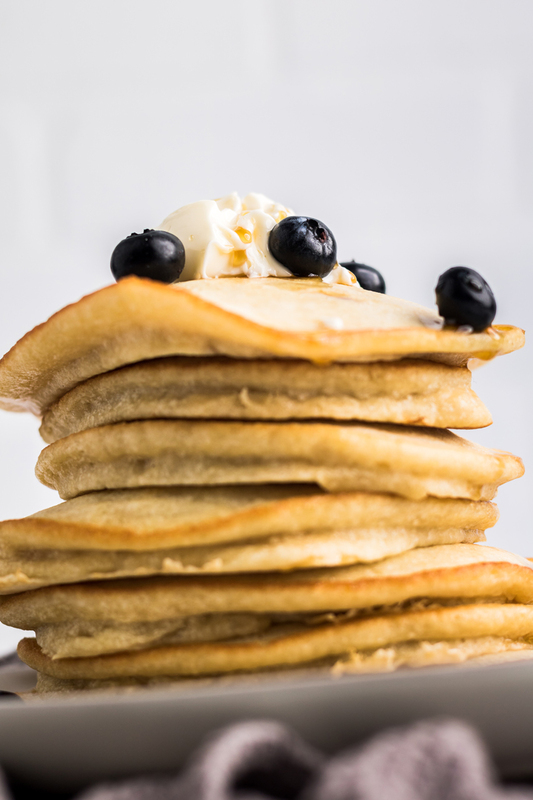 We’ve taken all the guess work out of it for you with this dairy free pancake recipe. 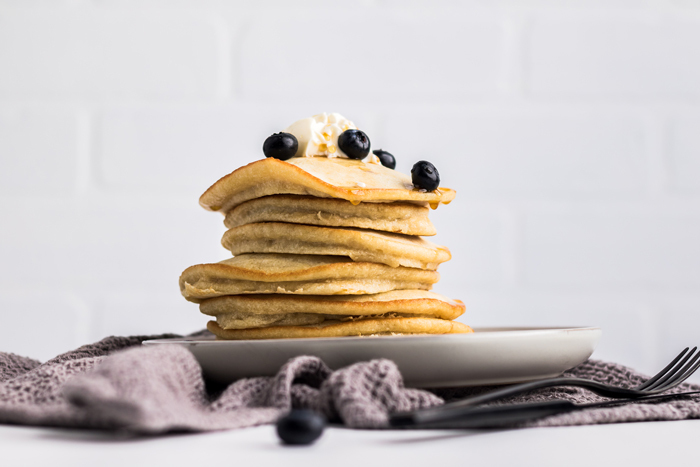 What ingredients do you need for dairy free pancakes? 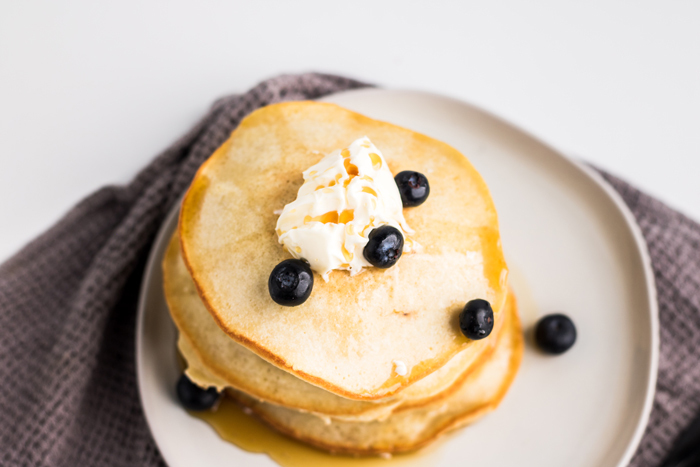 How do you make dairy free pancakes at home? 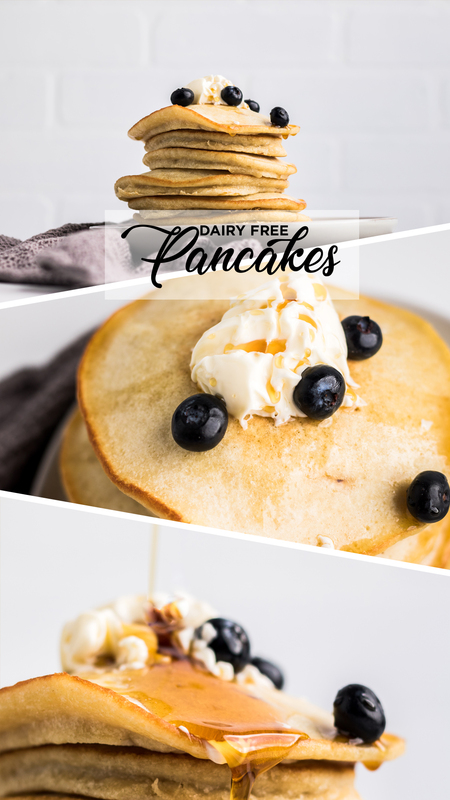 There is one simple key to making fluffy dairy free pancakes at home. It’s all in the eggs. 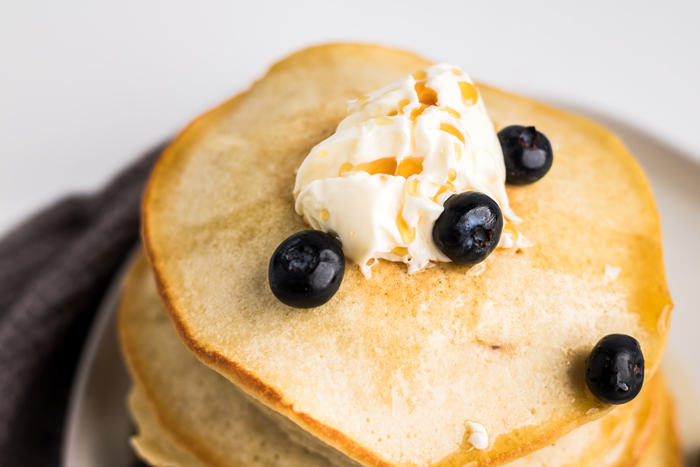 By whipping and folding in egg whites to your pancake batter, it will ensure the most perfect fluffy pancakes. First, you need to mix together the flour, powdered sugar, baking powder and salt. After that, you add in almond milk (or other dairy-free milk of choice), vegan butter, vanilla, and both whole eggs and whipped egg whites. After you mix all the ingredients together, cook pancakes for 2-3 minutes, flip and another 2 minutes. Once golden brown, they are ready to devour with your favorite syrup or toppings. 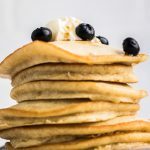 What are dairy free toppings for dairy free pancakes recipe? **This is the only recipe on our site that contains eggs. Every other recipe on our site doesn’t contain eggs and are all vegan. We have included instructions for make this egg free in the notes below the recipe directions. Repeat with remaining batter, adding more butter as needed so pancakes don’t stick. 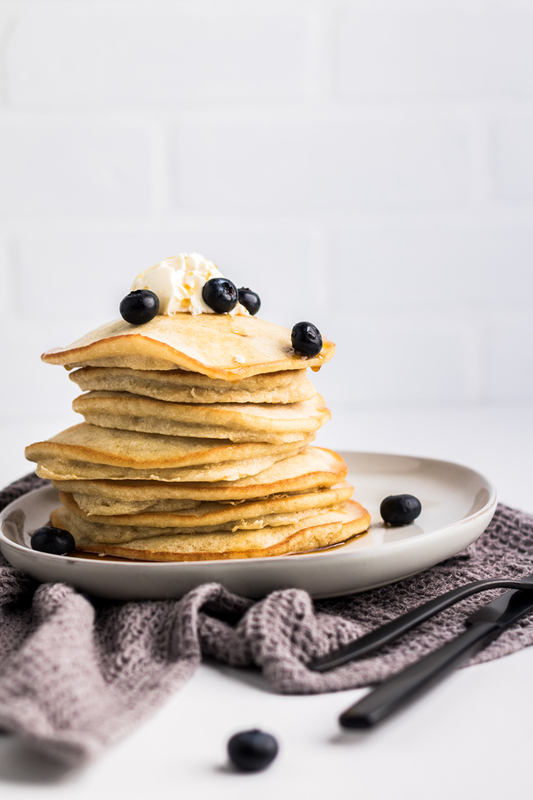 ** If you want to make these vegan or egg free – you can replace the eggs with 1 cup of applesauce, mashed bananas, or a mix of 3 tbsp flax seeds with 6 tbsp of water and let sit for 10 minutes.